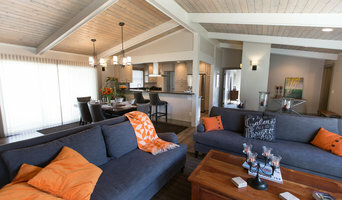 As a full service Interior Architecture and Design firm, we create aesthetically exciting interiors, and provide our clients with the benefit of personal attention and professional experience, which has produced distinctive personal homes, and beautiful, livable, functional spaces throughout Western Montana. Our experience and expertise applies to all types of projects: from high end residential turn key projects for the out-of-state client, to smaller residential and remodel work. We offer project management along with design concepts and finishes, and work in tandem with the client, architect, and contractors from initial planning through completed construction. Interior Architecture and Design. Large or small, we give your project our undivided attention. Whether you already have a builder or would like our help in the search for one, Becky Broeder Design takes communication & teamwork very seriously in order to ensure delivery of an enjoyable experience and an exquisite environment. We specialize in residential, hospitality, and commercial environments, with a focus on responsible design, healthy spaces, and inspirational places to live, work, and recreate in. A.J. 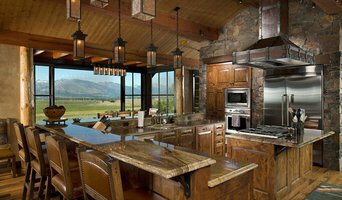 Designs is a leading full service residential remodeling firm located in Missoula. Our services focus on comprehensive kitchen and bath designs for both new construction and remodels. Together, we can create your world--just the way you've always imagined it. We offer whole home design services across the spectrum. No matter your tastes or your budget, we can help you create a home that works for you and your family's unique needs. From concept to staging, from across town or across the country, we look forward to working with you to create the home of your dreams. We offer taxidermy mounts for the home or business ranging from fish mounts to bear skin rugs to exotic game mounts and North American big game species. Certified American Clay Artisan, Faux Finisher, Specialty Plasters, Papering, Including Hand Painted Papers. Also paint with acrylics, mix media and encaustic art. With over 20 years as an award-winning art director, designer and stylist, Deb is highly skilled in the art of visual editing. SELLING? Deb is a master of the art of arranging furnishings and accessories to bring out the most desirable selling features of a home. When your house is on the market, every room has a role to play to make the sale. Next to fixing whatever's broken, staging — decorating rooms in an inviting way to help people imagine living in them — is important. The purpose of home staging is to draw the buyers into the house emotionally so they say, 'Wow, we want to live here! For the do-it-yourselfer, Deb can tour your home with a "buyer's eye" and create an action list of must-do's BEFORE the property is listed. Deb also stages vacation and corporate rental properties. She can photo-direct new advertising photos and help you achieve your higher rental earnings. First impressions are often made by internet photos, so proper photo-styling is a MUST to compete for the buyer's attention. STAYING? For those homeowners who would like to make a change in their own living space, redesign services are a cost-effective way to make big changes without spending big money on remodeling. Make a few simple changes and fall in love with your home all over again. BUSINESS OWNER? Does your lobby or office space reflect your business culture? With more than 20 years of brand marketing experience, Deb can create a seamless integration between marketing, signage, storefront, and interior design that will enhance and strengthen your branding efforts. Interior design, custom furnishings, workroom, new construction & remodels. A good home design professional will hone your style down to its very essence and be able to choose a functional layout that feels natural to you. Interior design companies can be involved as much or as little as the client desires. Many clients who hire an interior decorator in Victor, MT — particularly those who are remodeling — have a good sense of how the room should look and what products they should use. Often clients will insist that interior decorators use the products already present in the house. Other times a designer will need to start from scratch — especially if this is a newly purchased or just-built home. An interior design company will need to figure out exactly what the client needs, which includes organizing rooms, picking flooring and wall colors, and finding furniture to complement it all. Sometimes that means he or she will have to recruit help from other Victor, MT home professionals to help create the perfect look for your renovation. Here are some related professionals and vendors to complement the work of interior designers & decorators: Architects & Building Designers, General Contractors, Home Builders, Design-Build Firms, Photographers. 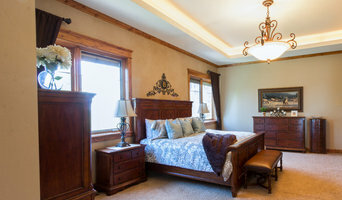 Do your research before meeting with an interior designer or home decorator in Victor, MT. Ask yourself what you want your space to become and what it will be used for. Figure out the extent of what you need help with, what your must-haves are and what your budget is. Interior design services can add up fast, so be up front with a potential design firm or individual from the beginning. Also, pick an interior decorator that fits your style. Browse through the portfolios of different Victor interior design firms and decide if you would live in those houses. Just because you like something doesn’t mean you could live in it. There's a big difference! Find an interior designer or home decorator in Victor, MT on Houzz. Narrow your search in the Professionals section to find Victor interior designers near you. 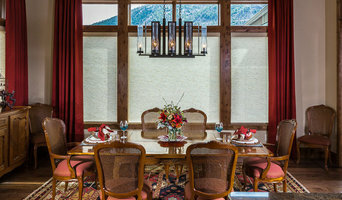 You can also look through Victor, MT photos to find a room you like, then contact the design firm who designed it.